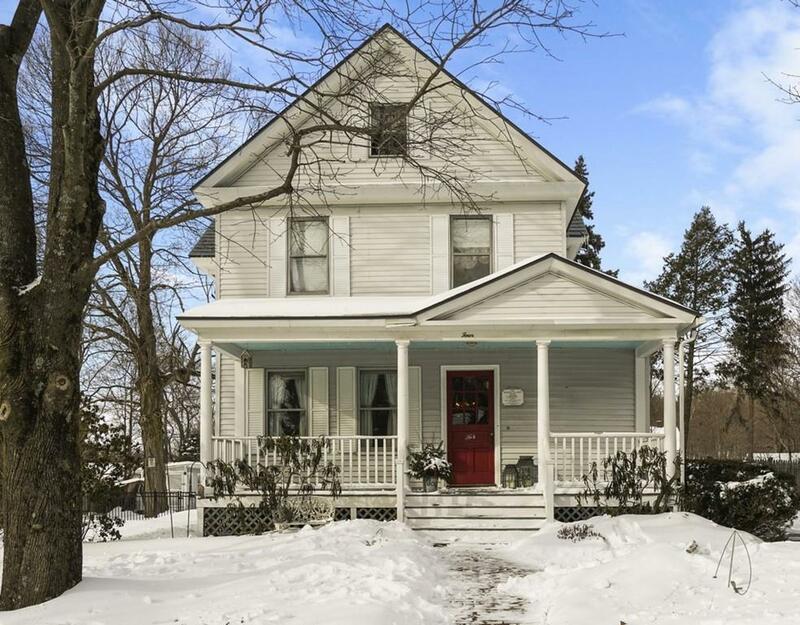 This Colonial Revival/Queen Anne-style home in Southborough Village has had a stunning makeover that includes kitchen and bathroom renovations, installation of new 2-zone A/C and heating system, refinished hardwood floors, second floor laundry, and so much more. As you enter the foyer you are greeted by a sweeping staircase and french doors to the Living Room and formal Dining Room. The professionally designed kitchen features Restoration Hardware lighting, painted Maple custom cabinets with under counter lighting, apron sink, pull down faucet, and a back staircase. The eating area has vaulted ceilings, extensive storage, picture windows, skylights, and French doors to the deck. The Master Suite has a luxurious bathroom, Restoration Hardware sink and lighting, and a custom walk-in closet. Bedroom 2 has a walk-in closet, and Bedroom 3 has access to a walkup attic. Outside is a fenced yard, chicken coop with electricity, perennial beds, raised garden, shed, swing set, and metal roof.